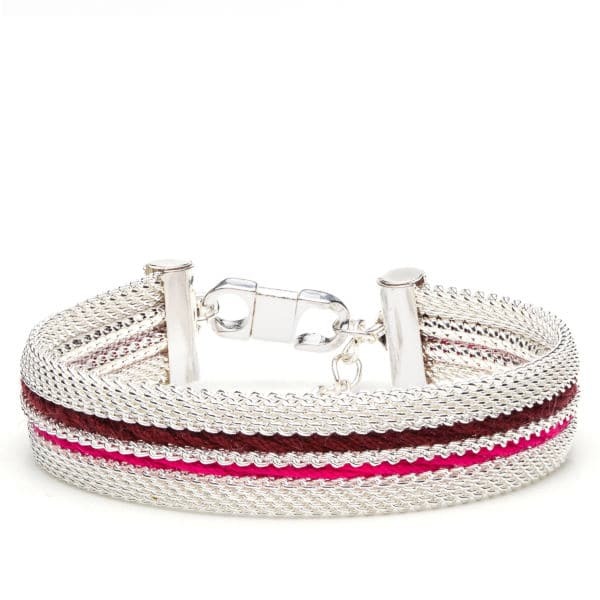 This bracelet is entirely made by hand in parisian a workshop by expert artisans. It’s a silver plated brass chain layered with thread. Alix B. d’Anthenay has chosen to bypass retailers in order to create and deliver products of higher quality and 100% Made In France. 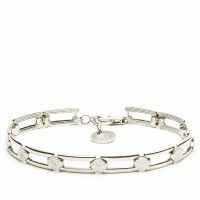 This bracelet is plated by one the most renowned parisian company in the field. All parts used to make this bracelet have been bought in Paris. It is is silver plated, assembled and embroidered by hand, in Paris. The chain is silver plated brass. The thickness of the plating is of 10 microns. The thread is 100 % cotton.